For those interested in presenting, Unite for Sight’s conference at Yale is currently accepting social enterprise pitch abstracts for presentation at the conference. The registration rate increases after December. According to the organizers, The Global Health & Innovation Conference is “the world’s largest global health conference and social entrepreneurship conference. This must-attend, thought-leading conference annually convenes 2,200 leaders, changemakers, students, and professionals from all fields of global health, international development, and social entrepreneurship.” Register here. Interested in presenting at the conference? Submit a social enterprise pitch abstract for consideration. They have a great lineup of speakers, including a lot of stalwarts. Check out their lineup here. 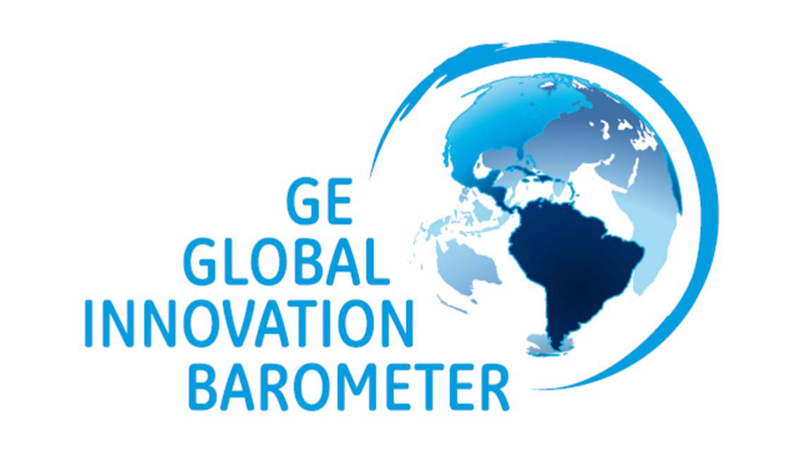 What are the most important factors to improve innovation in a country?? GE has come up with a fascinating metric. They surveyed executives around the world regarding their views on innovation, and mapped out the data in a way that allows the viewer to study the relationships between different data topics, over geography and time. You can also compare the data they got from 2011 and 2012. Need a blueprint for starting a social enterprise?? Look no further! Starting a social enterprise is not easy; some might argue that because the field is so “new”, fewer resources mean that its harder than a regular startup. Echoing Green Alumnus, TED Senior Fellow, MIT graduate, inventor, tinkerer, and founder of Social Tech Enterprise AIDG, Peter Haas is putting together a great webinar on “How to Set Up your Own Social Enterprise“. The workshop is aimed at teaching novices tools to be successful in the field of social enterprise. 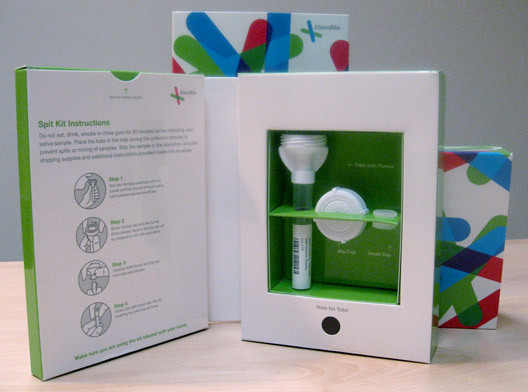 The 23andMe Spit Kit. Now available for $99! For the longest time I didn’t have a clue why personal genome decoding was such a big deal. Yeah, yeah…laugh all you want, but in the grander scheme of things that are important to me, and the places where I have worked, getting your next meal, finding clean water, and surviving AIDS were issues that surrounded the people I worked with. I could’ve cared less that I didn’t have my genome tested. Recently, I had the rare chance to do free genetics testing at 23andMe. So I thought…Why not?? The whole process was pretty easy and well designed. Once you pay, you get a small box in the mail that contains all the instructions. It took me all of 15 mins to read the pamphlet, scrub my cheek, spit in the enclosed tube, register online, and send off my DNA to the lab. 15 mins…swear! Two days later, the lab emailed to say that they got my sample, and two weeks later, they emailed to say that I got my results. I logged in and BAM, I had my results. It was interesting, to say the least…from my spit, they had figured out my eye color, skin color, whether I was lactose intolerant, what disease and carrier disease risks I had. With new genetic tests, 23andMe updates your report and cites the necessary literature regularly. I now know my Parkinsons, Cancer and Alzheimer’s risks. Everything is pretty well explained, and I learned more about my health than I realized I could through this medium. How accurate it is, depends on how much you believe in science. And it is a game of odds (in that they will tell you the odds of you getting any particular disease is some percentage). So depending on how much of a gambler you are, you can bet on the side that works for you. But the good thing is that its made me more aware and vigilant about specific health concerns. Head here to know how it is relevant and how the whole testing works. Normally, the test costs $300, but they have it on special for $99. A great Xmas gift if you asked me. Head to www.23andme.com for more information.